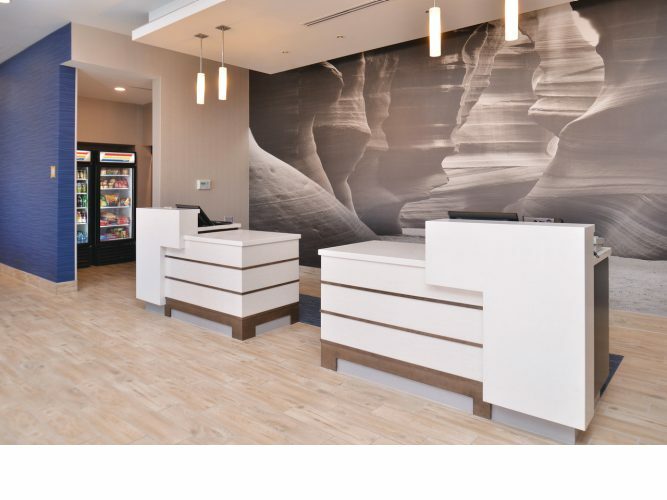 Page Arizona’s newest hotel, the beautiful La Quinta Inn & Suites. With 101 rooms you can choose from our standard two queen bedroom to a single king bedroom, large bathrooms with a choice of a walk in shower or bathtub. 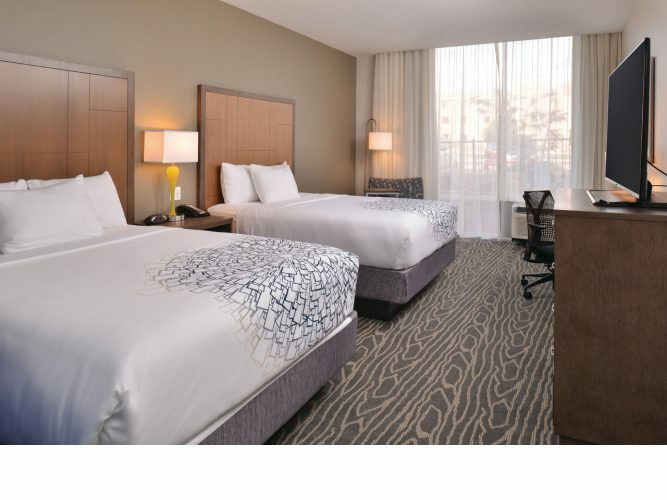 All of our rooms include a microwave and refrigerator along with an in-room coffee maker. . We also include the basic amenities such as shampoo, lotion, makeup remover, mouthwash and shower caps. Enjoy our large 24 hour fitness room and then relax in our outdoor pool and hot tub from 9:30 a.m. to 10:00 p.m.(seasonal). Enjoy a good night rest on our pillow top beds, which will leave you waking up well rested and ready for the day’s adventure. Guests love our full hot breakfast, which we include with every guest stay. Traveling with your beloved pet? They are always welcomed at La Quinta. Purchase items such as, frozen food/sweets, beverages, snacks, candy and everyday items in our Bright Side Market. We do offer onsite self coin operated washers and dryers open 24 hours. 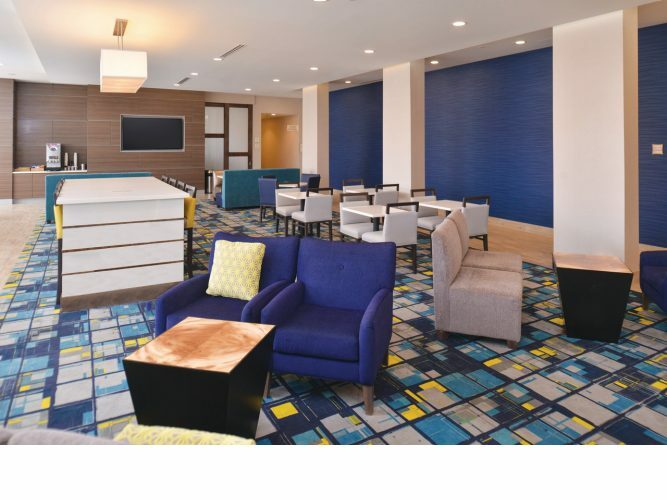 Other amenities that our hotel has to offer; free parking, 24 hour business center, wireless high speed internet. Open 24/7 Check-In: 3:00 p.m. Check-Out: 11:00 a.m.